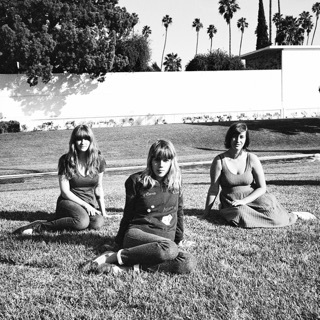 Since they emerged at a time when C-86-inspired acts like Vivian Girls and the Pains of Being Pure at Heart were in vogue, it's little wonder that California's Dum Dum Girls -- a group whose '60s-inflected lo-fi pop brings to mind acts like Black Tambourine and Dolly Mixture -- became something of a sensation on the indie circuit soon after the release of their first single. In 2008, lead singer Kristin Gundred (aka Dee Dee) began making solo recordings as Dum Dum Girls, deriving the name both from the Vaselines' album Dum-Dum and from the Iggy Pop song "Dum Dum Boys." Over the course of the next year, Dee Dee released a couple singles (a 7" single on Hozac, a four-way split single on Art Fag), a 12" EP (Yours Alone, released via Captured Tracks), and a compilation disc appearance (on Art Fag's Blissed Out cassette comp). Thanks to the high level of buzz surrounding Dee Dee (and, of course, the quality of the records), Sub Pop signed Dum Dum Girls in 2009. Dum Dum Girls' first Sub Pop single, "Jail La La," was released in early 2010, with the debut album I Will Be following soon after. Both recordings were mostly done by Dee Dee at home (with some help from Nick Zinner and Crocodiles' Brandon Welchez) and then expertly produced in the studio by Richard Gottehrer, who had formerly worked with the Go-Go's and Blondie. 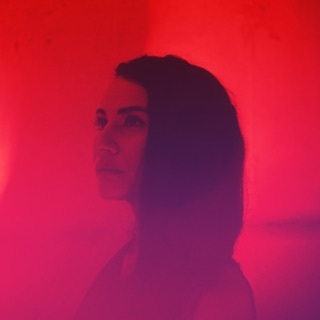 Before the album's release, Dee Dee teamed up with guitarist Jules, bassist Bambi, and drummer Frankie Rose (formerly of like-minded groups Crystal Stilts and Vivian Girls) to form a live band. Rose left the band in June of 2010 and was replaced by a drummer named Sandra Vu, who was with the band when its fall tour of the U.S. was canceled due to the passing of Dee Dee's mother. After spending some time regrouping, the band began playing more shows as the year drew to a close. In 2011, the He Gets Me High EP was released. Recorded just before her mother's death, the record was cut by Dee Dee without her band, and was produced again by Gottehrer with help from the Raveonettes' Sune Rose Wagner. On the personnel front, Bambi left the band in late 2011, making way for Malia James. A full-length sophomore album, Only in Dreams, appeared later that year. The album featured Dee Dee's bandmates for the first time and revolved around the pain of her mother's death. In the autumn of 2012, End of Daze, an EP consisting of tracks recorded just after the Only in Dreams sessions, plus songs recorded a year later, was released. The band's third full-length record, 2014's Too True, was once again produced by Gottehrer and Wagner, but this time Dee Dee played and sang everything herself (with some help from Wagner).